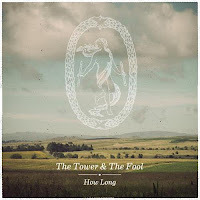 Before we delve into details, lets make one thing absolutely clear - The Tower And The Fool have a hell of a lot going for them. A patently capable instrumental caste, a superior sentimental knack, a pair of excellent vocalists who double over as a fine songwriting partnership; these are assets that most can only fantasise of, and initially, at least, the Providence sextet seemed to be putting them to good use. Commencing their career with a pair of immensely accomplished EP's, they bore all the hallmarks of a band arriving fully formed, exhibiting a maturity in both conception and execution far beyond what you'd expect even from an established Americana outfit. A full-length would of course present a whole new set of challenges, but early signs suggested they'd have little trouble sustaining such excellence. It comes as something of a surprise then that How Long not only falls short of those standards, but does so by a considerable distance. It's not a bad record - indeed at times it's very, very good - but its stumbles, and specifically their manner are a source of disappointment throughout. For all of the bands obvious gifts, they have an unfortunate tendency to bog themselves down with a gross and completely unnecessary over-reliance on cliche, a feature which all too often smears stains on otherwise adequate songs. Refrains such as "let's run away tonight/we ain't got nothing left to lose/let's run away tonight/we ain't got nothing to do" ('Broken') for instance sound tired at the best of times and utterly cringe-worthy at the worst. What's worse is that they prove on other numbers that they're well capable of communicating their messages in a more articulate fashion, something which only adds to the sense of frustration. It's unfortunate, because when they don't resort to such lazy touchstones, The Tower And The Fool leave you in do doubt as to what they're capable of. Most of their strengths revolve around Alex Correia and Chris Rosenquest, who collectively form the band's creative engine and provide consistently impressive vocal performances - even if their words can be a little dubious. Correia's voice has a driving urgency to it which works wonders in carrying some of the more up-tempo songs, while Rosenquest's has a more velvety texture and is better suited to more introspective moments. The pair are equally capable of shining individually and when joining forces, but it's their songwriting prowess rather than their talent behind the mic which makes the biggest impression. That might sound odd given the exposed faults in their craft, but the fact remains that when they hit gold the results are pure Americana perfection. The two leading examples are 'Die Alone' and 'My Heart Is Dead In NYC,' two tracks which previously made up the XIII EP and which best display their apt command of cascading emotions. The former deals in the types of life-affirming sensibilities so often exercised by the likes of Bruce Springsteen and Wilco, while the latter is this time given the full band treatment yet loses none of its original wistful splendour. Those are by no means the only highlights. Opener 'Dive Bar' sets a high bar and adds a distinct pop-punk tinge to their sound, while the vocal trade-offs in 'Fade Away' bring an element of freshness amid a run of songs which are otherwise fairly rigid. Moments of inspiration such as these were commonplace on those earlier releases, but although they are in evidence here, they're largely distilled by the lesser wrought numbers with which they are grouped. The fact that they spoil an otherwise fine debut is frustrating in itself, but even more so is the fact that their faults are completely avoidable, and could easily have been offset had the band committed more time and care to their creation. 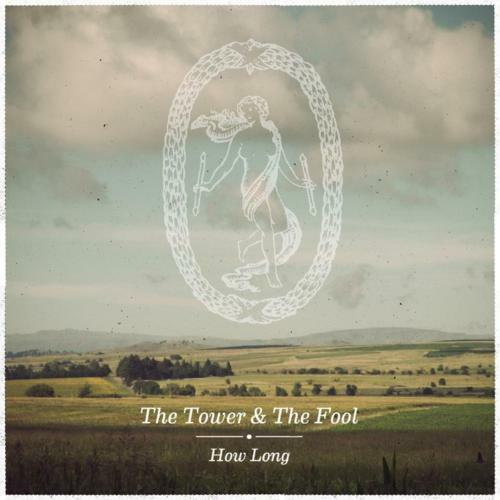 Should they right those wrongs second time around, The Tower And The Fool have all the tools required to make an impact, but in the case of How Long it's difficult to avoid the feeling that they've fallen short. You can stream and purchase How Long here. 10. Who Does She Think She Is?